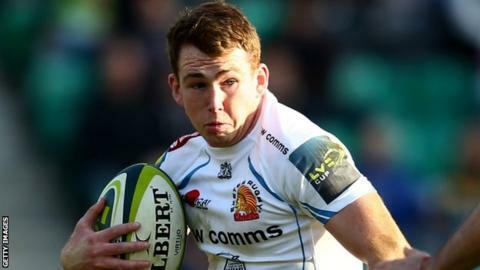 Cornish Pirates have signed six players from Premiership side Exeter Chiefs on dual-registration deals ahead of the upcoming Championship season. They include Max Bodilly, Tom Hendrickson and Jack Innard, who all had spells at the Mennaye last season. England Under-20 scrum-half Stuart Townsend has also made the move, along with Jack Arnott and Sam Simmonds. "We're benefiting from the excellent relationship we have with the Chiefs," said director of rugby Ian Davies. "These players will add to the competition within the Pirates squad and we look forward to helping them achieve their goal of being Premiership players." Full-back Bodilly returned from his previous spell with Pirates to score two tries for Exeter in their LV=Cup final defeat by Saracens in March. Arnott, who plays at wing, and back-rower Simmonds were dual-registered with Devon side Plymouth Albion last season.